Srikesh shampoo contains many herbal extracts like reetha, amla ,sheekakai and bhringraj. It is well known to improve the growth of hair and also give it a smooth and shiny finish. Filled with the goodness of amla for Vitamin C, sheekakai for cleansing and reetha for excellent conditioning, this shampoo from Sricure Herbs is popular for its anti dandruff , anti septic properties which is also helpful in pre-mature greying of hair. It also claims to help one get rid of dull, brittle hair and gives shiny and strong hair. Dandruff being the main concern to a lot of people,the absence of harsh chemicals makes it a good hair fall preventive shampoo. For better results use Srikesh Hair oil. 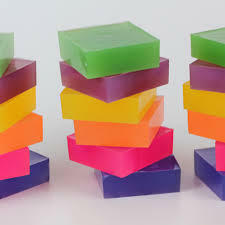 A deep cleansing soap from Sricure Herbs made from herbal extracts, with no chemicals or animal fats. It is known for its curative, preventive and beautifying qualities for skin, scalp and hair. The rich lather of Sricure's soap is enriched by the extracts of herbs and essential oils scientifically incorporated to give protection from various skin problems.It is a natural skin care product. The exfoliating action of the scrub and moisturizing nature of the oils leaves the skin radiant and healthy.